Oh happy Day, I have all kinds of Shamrock Crafts right here just waiting for you to try. Whether you are full blood Irish or love the idea of wearing green and putting up pretty shamrock decor just because you like it, I have a whole pile of projects for you to try. Grab your favorite materials and make your own Shamrock decor and fun accessories. Below I will show you some examples of different Shamrock crafts you can make. From fabric to paper, paint to treats, you can craft with anything, you just need an idea to start with! Learn how to make a beautiful ombre using dye and then turn it into a fun, pretty pillow. This Ombre Shamrock Pillow tutorial is shared over at Occasionally Crafty. Have a bunch of wine corks sitting around waiting for you to get creative? Make these fabulous mini stamps and add some color to the day! This little Shamrock wine cork stamp is so adorable and SO easy to make! Head to DIY Candy for the full tutorial. Crafting isn't just for paper and paint – or fabric for that matter. You can make super yummy food crafts too! 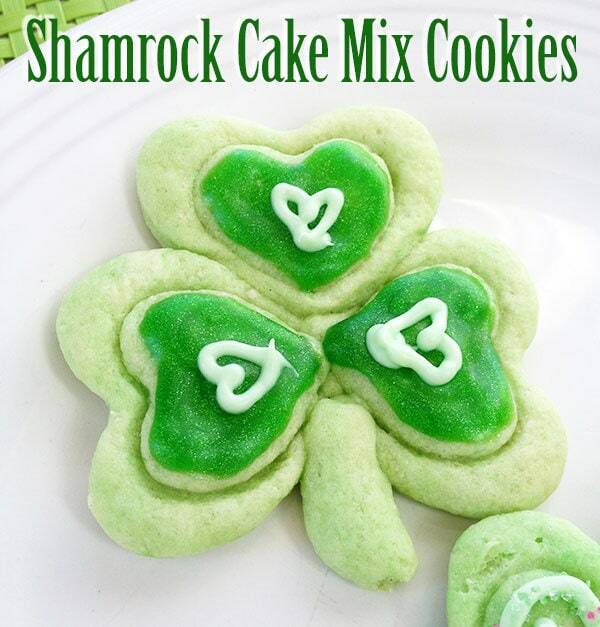 I made Shamrock cookies using my favorite cake mix cookie recipe. They were SO fun and the kids love to play with cookie art too. You can check out my full tutorial here. Crafty Morning has this awesome kids art project tutorial you can make. Using crayons and paint, you can make a really fun, fabulous and beautifully colored Crayon Resist Shamrock Art piece – or make a bunch! Take that love for Irish art and turn it into a decor piece you can show off. Eileen Hull shares her beautiful St. Patrick's Day Artist Trading Block with a full tutorial so you can make one too. If you like to sew and work with felt, this Felt Shamrock Banner is a perfect craft project for you! Create a variety of mini sewing panels that you assemble to create this holiday home decor. Full tutorial and template to use are available at Holiday Crafts and Creations. Did you know you can make fantastic art just by creating little dots with your favorite color of Sharpie markers? Oh yes! Learn how to make this lovely Dotted Lucky wood banner in no time. Typically Simple shares this fun tutorial. Make a giant shamrock using paper and your creativity. Read the full tutorial at Dietrich Designs. Whether you are making cupakes or looking for a little extra green to decor your table on St. Patrick's Day, I have a few printables you can use to spruce up the celebration! 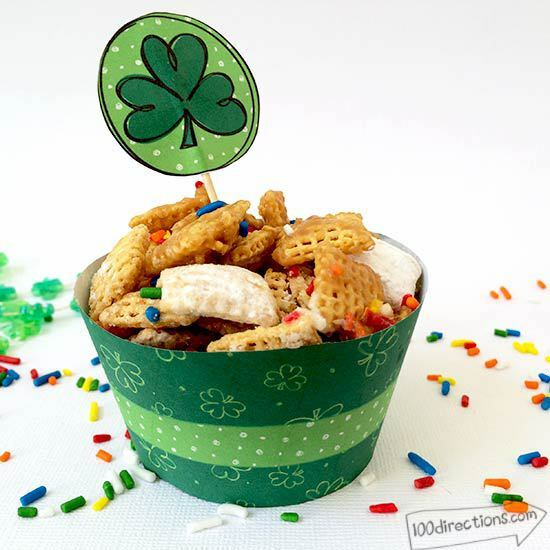 This little Shamrock cupcake decoration set is a free printable for you to use. There are other accessories as well and you can check out the entire set over here. Thank you for sharing Amy… love the stamps!